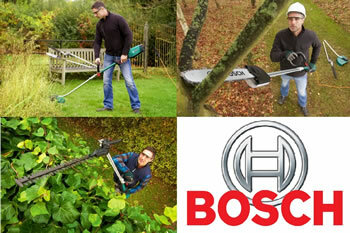 The Bosch AMW 10 is a powerful and innovative product that can be used to tackle a number of gardening jobs. 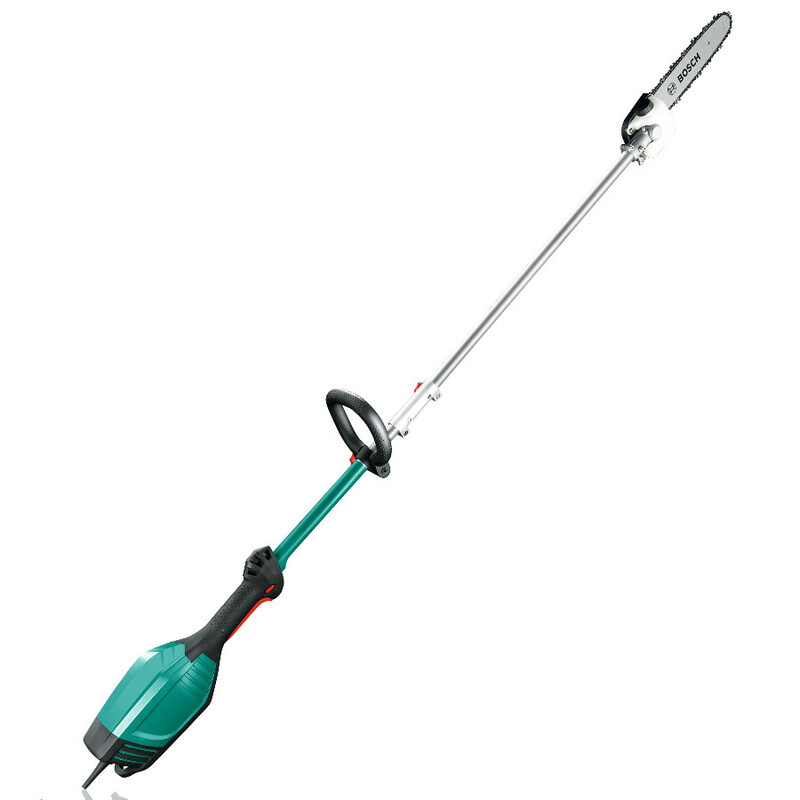 This particular product comes with the 1000 watt motor, the Tree Pruner attachment and extension, allowing you to keep high and low branches cut back and tidy. The pruner uses a chain of teeth moving at 12m per second, which makes easy work when cutting medium to thick branches. The motor can also be equipped with a hedge trimmer or lawn trimmer (sold separately), as well as the included tree pruner of course. When all three attachments are purchased, there is virtually no gardening task that the AMW 10 can't handle. If you want to tackle a number of gardening jobs without the hassle of packing one tool away to get the next one out, the Bosch AMW 10 is the perfect powertool for you. 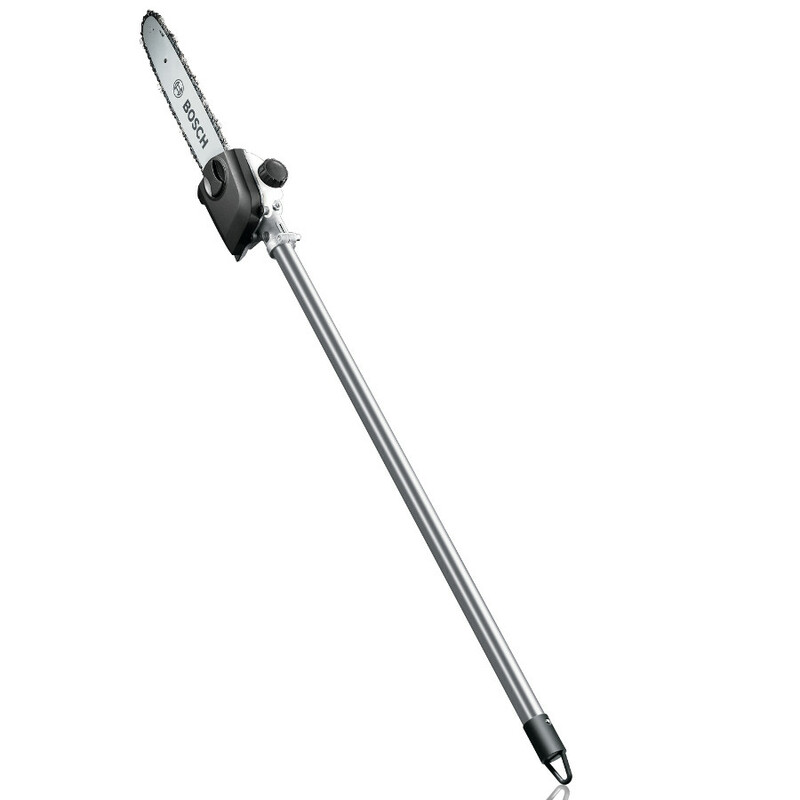 This particular product comes with the 1000 watt motor, the Tree Pruner attachment and extension, allowing you to keep high and low branches cut back and tidy. The pruner uses a chain of teeth moving at 12m per second, which makes easy work when cutting medium to thick branches. 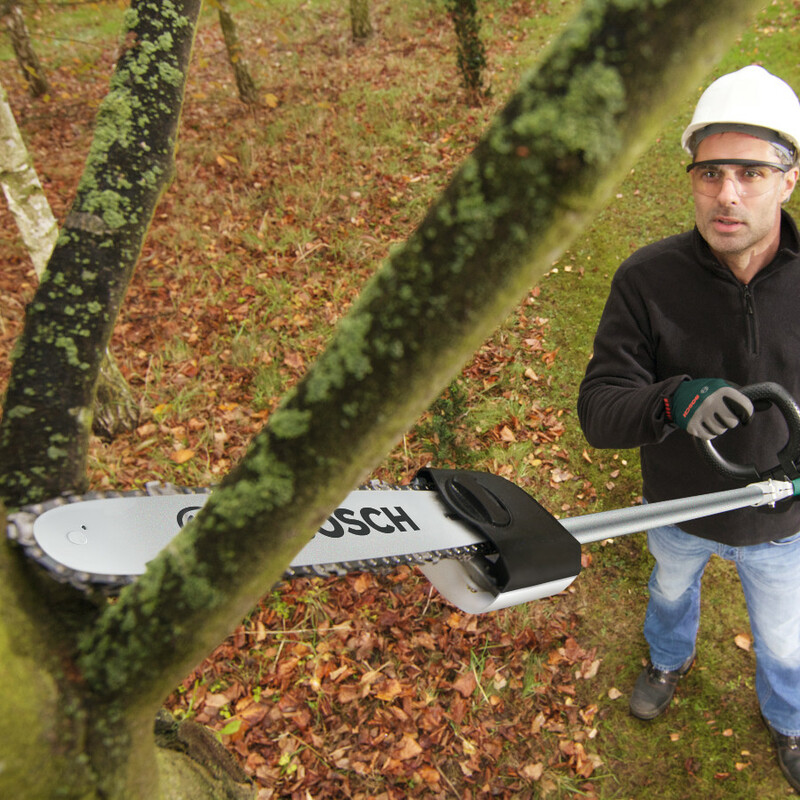 An adjustable cutting angle of up to 180º also allows for ease of cutting branches that are above head-height. 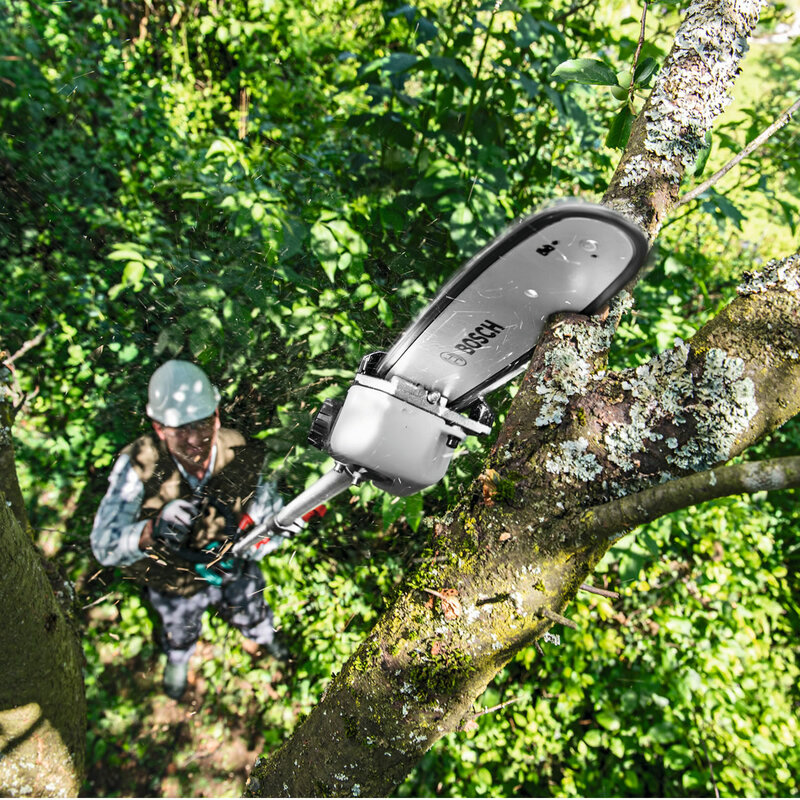 The one single motor unit can also be equipped with a high-powered hedge trimmer or professional lawn trimmer, as well as the included tree pruner of course. All of the attachments are easily interchangable, without any need for additional spanners or screwdrivers. With all three attachments, there is virtually no gardening task that the AMW 10 can't handle. 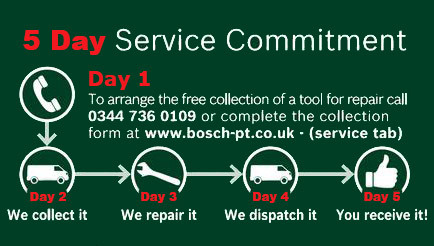 Like all Bosch tools, the AMW 10 has been designed with the user in mind. It features an adjustable ergonomic set of handles that are comfortable to use with minimal vibration. The tool also comes with a shoulder strap included to help take the weight so that you can use it more comfortably and for longer periods. - 1x Bosch AMW 10 1000watt Motor Unit. Lost your user manual? Download a free digital copy here!